Arista 7150 Series switches are compact, low-latency devices designed to take on the most demanding networking applications, including cloud computing, high-performance computing (HPC), financial trading and a wide variety of Web 2.0 applications. 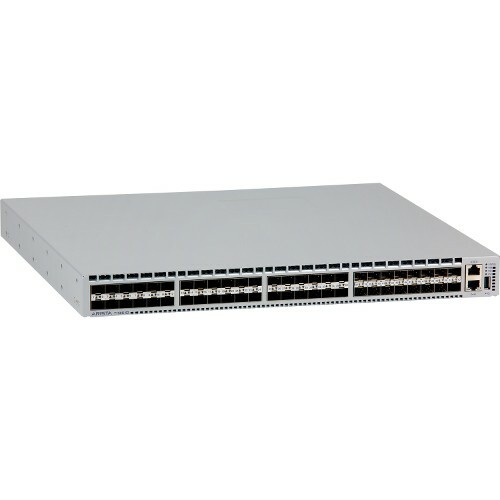 We offer great prices on all the pre-owned Arista 7150 switches we sell, whether you’re looking to buy in bulk, or you need to buy replacement parts. We also buy used Arista 7150 switches if you need to upgrade or replace your existing switches. There are three pre-owned Arista 7150S models, all of which are 1 rack unit (RU) in size. All three models are designed as fixed-configuration switches. The primary difference between the three models is the number of Ethernet ports. There are optional features available for all three models, such as fans, power supply units and additional storage. Each model is also available with rear-to-front or front-to-rear airflow. 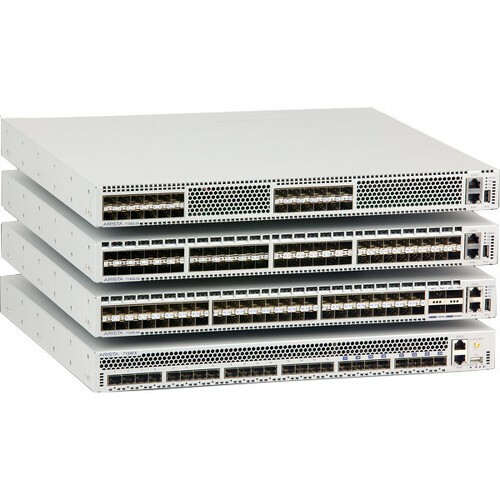 Despite the fact the Arista 7150S-24 and the 7150S-52 have only SFP+ ports, all three pre-owned Arista 7150 switches support up to 40G Ethernet. The Arista 7150S-64 includes four QSFP+ ports, which natively support 40G Ethernet, but the 7150S-24 and the Arista 7150S-52 both support a feature called AgilePorts, which allows you to group four adjacent SFP+ ports to be configured for 40G Ethernet using 10G optics. Because each model supports a different number of ports, the maximum capacity varies for each switch. 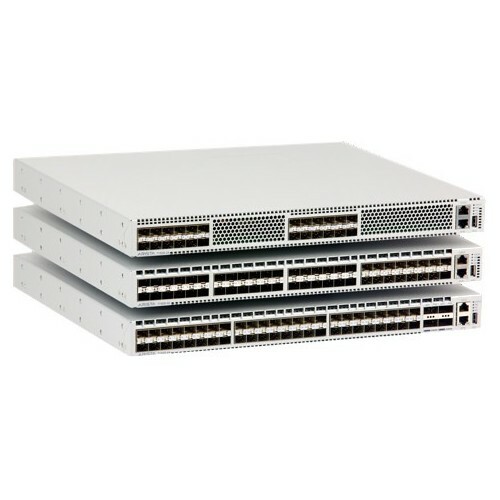 The Arista 7150S-24 has a maximum capacity of 480 Gbps, the 7150S-52 has a maximum capacity of 1.04 Tbps and the Arista 7150S-64 has a maximum capacity of 1.28 Tbps. 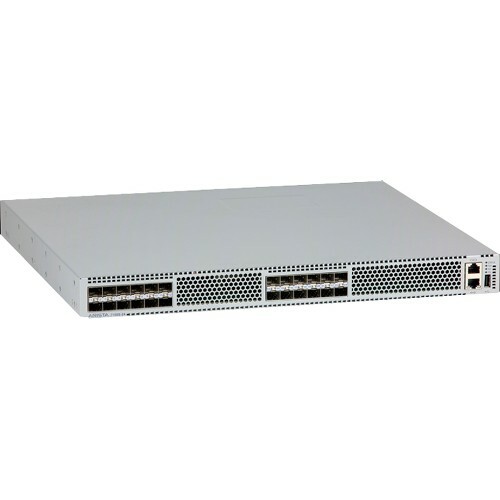 One of the features used Arista 7150 switches are well known for is ultra low latency speeds. The 7150S-24 has a latency of only 350 nanoseconds (ns) for all packet sizes, and the Arista 7150S-52 and 7150S-64 both have a latency speed of only 380ns. 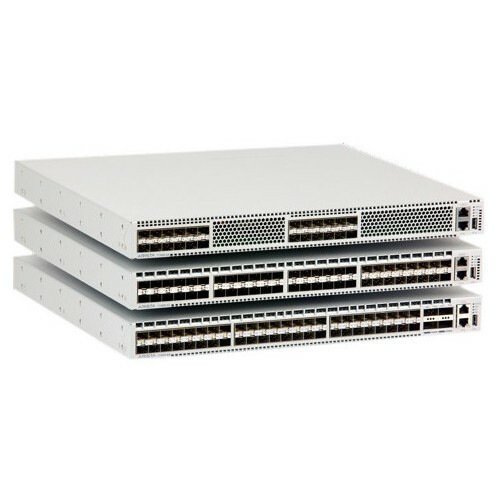 Pre-owned Arista 7150 switches are great for 1G and 10G Ethernet solutions, but if you require a higher density or faster Ethernet switch, you should check out some of the other Arista Ethernet switches we sell, such as the 7280 Series, the 7160 Series, and the 7050 Series. Read more about important specs with the Arista suggested downloadable pdf datasheet. 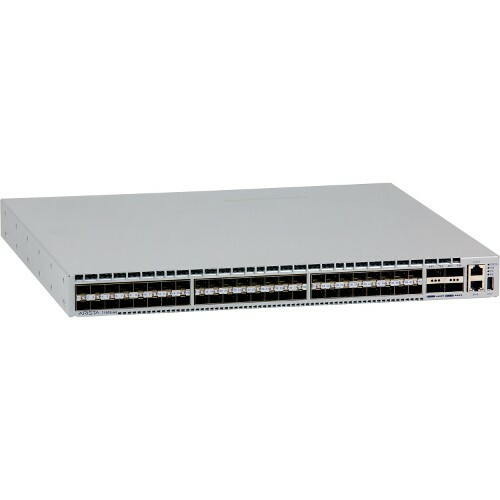 BrightStar Systems sells pre-owned Arista 7150 switches as well as supported Arista optics and cables to countries all over the world. And when we ship our items, we use only the highest quality packaging materials to ensure everything you purchase arrives safely and securely. You don’t have to worry about your equipment not working after it arrives either; everything we sell includes BrightStar Systems’ 1-Year In-house Warranty. That means no worrying about repairing or replacing any of the equipment you buy for an entire year. If you are interested in purchasing refurbished Arista 7150 switches — or any other Arista equipment — please contact us today. Selling refurbished Ethernet switches is the best way to turn your existing equipment into a valuable financial asset. 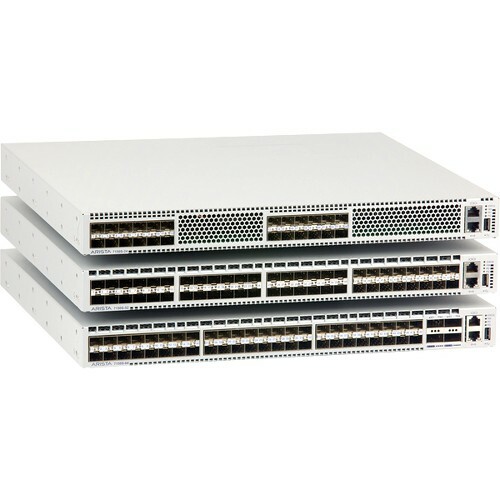 And when you sell us your used Arista 7150 switches, we cover all the shipping costs you incur. All you have to do is package your items and send them. BrightStar Systems buys pre-owned Arista hardware in bulk as well. And, for large orders, we’ll even schedule freight pickup at a time that’s convenient for you. If you have used Arista 7150 switches for sale, please contact us and we’ll put you in touch with our sales team to help you get the process started. Anytime you work with a business for the first time, it’s good to know what its payment process is like. At BrightStar Systems, we do everything we can to make paying for your pre-owned Arista 7150 switches and receiving payments for your used equipment as easy as possible. The process, whether you’re buying and selling equipment, looks very similar: you send us a list of items you’re looking to buy or sell; we work with you to settle on a price or a quote that you’re completely satisfied with, then we finalize the agreement. It’s that simple. Whether you have questions about our used Arista switches prior to placing your order, or you have questions about installing equipment once it’s delivered, our knowledgeable sales staff is here to help you every step of the way. Contact us today to find out specific pre-owned Arista 7150 switch prices, or to get a quote for your used Arista 7150 switches. And if you’re looking for more information on some of the other Arista products we sell, you can see everything we stock on our Arista products page.